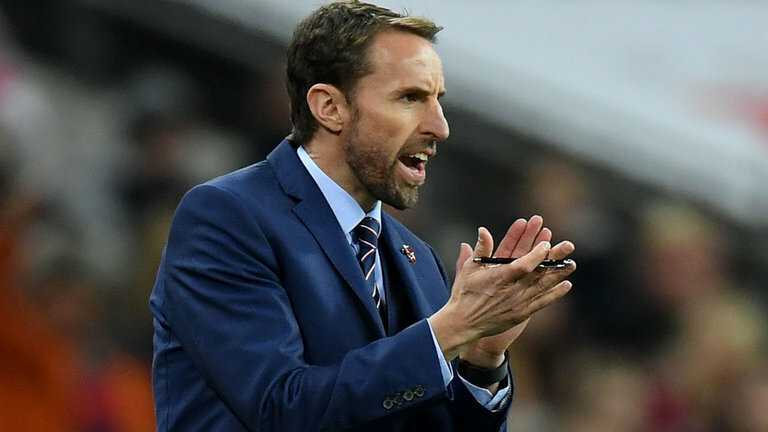 I never thought I would hear myself say this, but there is a lot Christians can learn from Gareth Southgate, manager of the England football team. For those who live in a bucket; the one who wears a waistcoat. He is the one who missed a vital penalty kick against Germany in 1996 and with it the hopes of a nation. He is the one who was sacked as manager of Middlesbrough (Middlesbrough!). He is the one who was brought in as a caretaker manager for England after the Sam Allardyce scandal, to a squad lacking any sort of unity or hope. What did he do that elevates him to the role of example for the rest of us Christians? Well, just after England had won its first ever penalty shoot-out against Colombia to go through to the semifinals, he went over to Mateus Uribe, the Colombian player who had missed his shot and thus given England the chance of victory, and gave him a very sympathetic cuddle. He used his experience to understand what Mateus was going through, he didn’t gloat, he didn’t mock. We call it a moment of Grace. Not only that, but his behaviour on the edge of the pitch was decent, seeking to praise good playing rather than to deride mistakes. Going back a bit, he had welded his squad together by showing faith in them, by helping them through failure to success. He saw through the footballer to the man, helping Danny Rose through depression after injury, encouraging Fabian Delph to miss the Colombian match to be at his wife’s side during childbirth. No one had any expectations of the England squad except, apparently, Gareth Southgate; nobody believed that the second-tier squad he had picked had any potential. When we read the stories of Jesus in the Gospels, we read of a leader who saw through the fisherman, the tax collector, and the assorted women who supported him, to the people they were. He trusted and encouraged them, even Judas. He set them goals and was interested in how they fared. A Teambuilder. He was not interested in creating personal glory, as many football managers are tempted to do, but interested in how his life and death could become a legacy of Grace for those of us who come after. 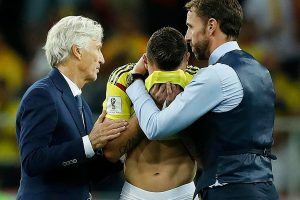 Even in that tense semi-final, all the players knew that Gareth Southgate was there, calmly on the touchline, supporting them, wishing them the best, knowing the difficulties they were dealing with, looking at what they did well, understanding their mistakes; not only now, but he would be there there as long as the game should last, even unto extra time; not only that, but even when the game would be over, he would receive them, comfort them, and encourage them. So, Love Island or the World Cup? You have to take your role models where you can find them. Mervyn has worked as an engineer, as a teacher and headteacher in comprehensive schools, as a university lecturer and latterly as a dry-stone waller, and lay pastor of the church. He also serves as Eco Officer. His hobbies include walking and he leads holidays in Italy and here in the UK, especially holidays for families. He has been a local preacher in the Methodist Church for fifty years and has been riding motorbikes for slightly longer. He is married to the girl of his dreams and has several children and grandchildren of whom he is inordinately proud.